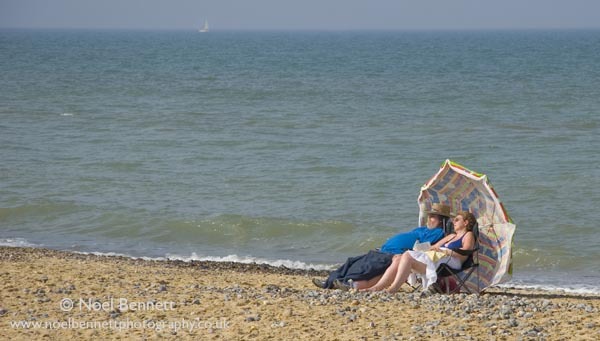 I caught this couple enjoying the last rays of the sun on Mundesley Beach, Norfolk. I admit the distant sail was moved from directly above their heads. This helped the composition enormously. An open aperture through the distant horizon out of focus.